RAFIKI gathers the ANIMALS of the Pridelands to welcome the newborn cub of King MUFASA and Queen SARABI. The king’s jealous brother, SCAR, no longer heir to the throne, skips the ceremony, upsetting Mufasa. Time passes and YOUNG SIMBA grows into a curious young lion. Mufasa explains the circle of life and that Young Simba will one day be king of the Pridelands. Young Simba shares this news with Scar, who encourages his nephew to visit the forbidden Elephant Graveyard. Young Simba finds his best friend, YOUNG NALA, hunting with SARAFINA and the LIONESSES and invites her on his adventure. Once they ditch their overbearing babysitter, ZAZU, the cubs encounter the ravenous SHENZI, BANZAI and ED in the graveyard. Mufasa arrives and pummels the hyenas then takes the cubs home. Scar emerges from the darkness to recruit the HYENAS in his murderous plan to become king. Back in the Pridelands, Mufasa reprimands Young Simba then shares the guidance of their ancestors, up among the stars. Enacting his plan, Scar leaves Young Simba alone in the gorge and signals the hyenas to scare a herd of wildebeest. Scar alerts Mufasa, who leaps into the stampede to save his son. Mufasa rescues Young Simba, but Scar pushes his brother back into the gorge, where he is trampled. Scar blames Young Simba for the king’s death and tells him to run away and never return. As Sarabi, Young Nala, Rafiki and the lionesses mourn the loss of Mufasa and Young Simba, Scar assumes the throne, uniting lions and hyenas under his dark reign. 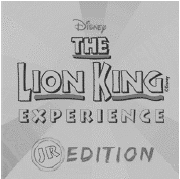 Lost in the desert, Young Simba meets TIMON and PUMBAA, who take him to their “worry-free” jungle home. Under Scar’s reign, the Pridelands are nearly destroyed. Now grown, NALA decides to leave and seek help. To her delight, she finds SIMBA alive in the jungle. Nala urges him to take his rightful place as king but, still ashamed, Simba refuses. Rafiki appears and helps Simba remember his father. With newfound courage, Simba agrees to return to the Pridelands. Timon and Pumbaa distract the hyenas while Nala rallies the lionesses. Simba confronts his uncle, the truth of Mufasa’s murder is revealed and Scar runs away, pursued by angry hyenas. With peace restored in the Pridelands, Simba takes his place as king and the circle of life continues.